The Committee held the second tranche of public hearings on the three labour bills, namely: Basic Conditions of Employment Amendment Bill; National Minimum Wage Bill; and Labour Relations Bill. Shukumisa Coalition, the Institute for Economic Justice, and the National Employers Association of South Africa (NEASA) made submissions. Shukumisa Coalition pointed out that the minimum wage is being introduced by one section of government – the Department of Labour – at a point when it has been recognized by the courts, the Department of Social Development (DSD) and National Treasury that funding to non-profit organisation (NPOs) is inadequate and where no funds are immediately available to address this. As non-profit entities serving society’s most vulnerable and poor members, organisations obviously cannot address this by charging for their services. Nor can they compel donor organisations, corporate social responsibility programmes, or trusts and foundations to fund them all to the extent where they can pay the minimum wage. Furthermore, it was not appropriate to locate the social services sector in the extended public works programme (EPWP). If existing staff are re-designated EPWP employees, this may result in unfair labour practices (i.e. lower pay and job grade). People in this sector are not unskilled and EPWP funding is volatile and unpredictable. Services must be consistently available at the same quality if they are to benefit those who need them. The Coalition recommended the urgent convening of the expert group to include NPOs, representatives of the DSD and Treasury. This group must calculate the cost of increasing all DSD subsidies currently below the minimum wage to the amount proposed by the Bill and plan how this will be phased in. In addition, it was recommended that a temporary exemption be applied to the sector while the expert group completes its work. The Coalition further recommended the expeditious resolution of the different understandings of an employee, beneficiary and volunteer held by the Department of Labour and the DSD. If both categories are to be defined as employees, then subsidies must be adjusted accordingly. Lastly, the proposed Minimum Wage Commission does not allow for the representation of the NPO social welfare sector. It is crucial that the Bill be amended to recognize and include this sector so that their particular work circumstances are adequately taken into account when decisions are made that affect their wages, employment and working conditions. The Institute for Economic Justice (IEJ) had fundamental concerns about the Bills. Unfortunately, the amendments made by the National Assembly did not address some of the fundamental concerns raised by social partners, civil society, and various research and policy bodies, including the IEJ. The Institute hoped that a number of these issues will be addressed by the Select Committee. It is critical- given the importance of these bills- that they are got right the first time, particularly on critical issues relating to their architecture. Given previous experience, the IEJ was cognisant of the reality that there may not be another opportunity to correct the identified defects for many years to come. The Bills as they currently stood had serious deficiencies. In particular, the various parts of the NMW could not be viewed in isolation to one another. The NMW must be viewed as a package; the current package falls short. The deficiencies were not simply technical in nature but go to the heart of the purpose of the NMW and whether the legislation in its current form gives expression to that purpose. Those intentions are noble in character and reflect the commitment of the government, ruling party and various social partners to give expression to the long-standing objective of a 'better life for all'. In particular, the NMW seeks to contribute towards changing the existing wage structure - inherited from apartheid South Africa - as part of the structural transformation of the economy. It would be a tragedy for these objectives to not be given full expression in this landmark piece of labour market legislation. The Select Committee must therefore shoulder the weighty burden of correcting where the social partners and Department of Labour, as well as the Portfolio Committee had fallen short. If implemented correctly, the NMW has the potential to contribute towards reducing poverty and inequality, ensuring social stability and playing a transformative role in South Africa. The amendment states that the Minister must publish a notice of extension within 90 days if the Registrar has determined that the parties are sufficiently representative for purposes of section 32(5)(a). However, section 32(5) currently has additional criteria contained in sections 32(5) (b-d) which the Minister must satisfy herself of before she may decide to extend or not. It is unclear whether these criteria are still applicable from the wording of the proposed section 2A. The intention of the amendment apparently is to set time frames; however, the proposed wording is certain to cause confusion as it is seemingly contradicting the current section 32(5). Members pointed out that the formulation of the labour bills was a legal process and had been delayed for a long time. Although the Committee might tend to concur with some of the issues raises, the bills could not be delayed any longer. Most Members had some bias towards the indigent within society. The intent of the bills was not to impose additional tax burdens on vulnerable people but to ensure that compensations inequalities are addressed. They sought clarity about whether the IEJ was in opposition to the NMW in principle or just its current form. Did it believe the NMW Bill’s intent and purpose had been compromised? Was it a statement of fact that the enforcement of the NMW Bill provisions might be a challenge, as expressed by various stakeholders? The NMW must be enforceable and should deal with the issues it sought to address effectively. The Chairperson appreciated the sharing of views. The views expressed would be taken into utmost consideration. He gave assurance that the Committee would not rubberstamp the National Assembly, but would apply its mind on all the issues being raised. The Committee would consider every input but would take own independent positions when it finally decides on the way forward. The public hearings would continue on 26 June. The Chairperson welcomed everyone to the second day of public hearings on the three labour bills. The Committee would at a later stage give a comprehensive response to all the issues raised by the public. Historically, social welfare services provided through partnerships between the state and the non-profit private sector (including faith-based organisations). This partnership takes concrete form in the money allocated by the DSD towards the provision of social welfare services by the non-profit sector. This financial assistance takes the form of a subsidy. It is only a partial payment of the full cost of the service because it is expected that NPOs will source the balance of their costs elsewhere. These additional sources of funding may include other government departments; donor organisations; corporate social responsibility programmes from the private business sector; trusts and foundations; and the proceeds from lotteries. A small number of NPOs with national offices are funded by the national office of the DSD. The provincial departments of social development bear the primary responsibility for subsidising NPOs based in that province. The number of NPOs subsidised by provinces is far larger than the number funded by the national department. The size of the subsidy is at the discretion of the province, rather than standardised through national policy. This results in considerable variation in the amounts paid to organisations both within the same province, as well as in different provinces. In virtually all cases the subsidies are inadequate to meeting the full cost of the service and have not kept pace with inflation. Organisation A – all 32 of its affiliate organisations will be affected. The number of workers being paid less than the minimum national wage is 330. If their salaries increased in accordance with the NMW Bill, the additional cost per month would be R420 000 – or R5 million for the year. They will not be able to continue with many of the projects and activities currently serving its vulnerable population groups. The organisation has not been able to increase any staff salaries in the past two years. Organisation B- has 1 135 employees below the minimum wage – or 41% of its workforce. If it were to pay each employee the proposed minimum wage, it would require an additional R506 965.98 per month, and R6 083 555.76 per year. Organisation D does not have access to this amount of money and will in all likelihood have to close its facilities or retrench between 25% and 30% of its lowest-level employees who need their jobs the most. Ms Vetten pointed out that the minimum wage is being introduced by one section of government – the Department of Labour – at a point when it has been recognized by the courts, the DSD and National Treasury that funding to NPOs is inadequate and where no funds are immediately available to address this. As non-profit entities serving society’s most vulnerable and poor members, organisations obviously cannot address this by charging for their services. Nor can they compel donor organisations, corporate social responsibility programmes, or trusts and foundations to fund them all to the extent where they can pay the minimum wage. The National Lottery Commission’s new funding policy also does not allow for an organization to be funded for two years in a row – taking away another source of funding for many organisations. Furthermore, it was not appropriate to locate the social services sector in the extended public works programme (EPWP). Some subsidies were already below the EPWP. If existing staff are re-designated EPWP employees, this may result in unfair labour practices (i.e. lower pay and job grade). People in this sector are not unskilled and EPWP funding is volatile and unpredictable. Services must be consistently available at the same quality if they are to benefit those who need them. The NMW Bill has made provision for domestic workers and farm and forestry workers. In relation to the welfare and care work sector the Panel wrote that a large number of workers, mainly female workers, are employed in welfare and care work, at low wage levels. At least some of this work is undertaken on behalf of Government, and the low wages are partly a result of low levels of Government subsidy. The Panel believed that an expert group should address the challenges in this sector. This expert group has not been established. Therefore, the Coalition recommended the urgently convening of the expert group to include NPOs, representatives of the DSD and Treasury. This group must calculate the cost of increasing all DSD subsidies currently below the minimum wage to the amount proposed by the Bill and plan how this will be phased in. In addition, we recommend that a temporary exemption be applied to the sector while the expert group completes its work. The Coalition asked Parliament to have this committed to in writing by Department of Labour, Treasury, DSD and Department of Health along with time frames. This must be in place before the legislation enacted. The Coalition further recommended the expeditious resolution of the different understandings of an employee, beneficiary and volunteer held by the Department of Labour and the DSD. If both categories are to be defined as employees, then subsidies must be adjusted accordingly. Lastly, the proposed Minimum Wage Commission does not allow for the representation of the NPO social welfare sector. It is crucial that the Bill be amended to recognize and include this sector so that their particular work circumstances are adequately taken into account when decisions are made that affect their wages, employment and working conditions. 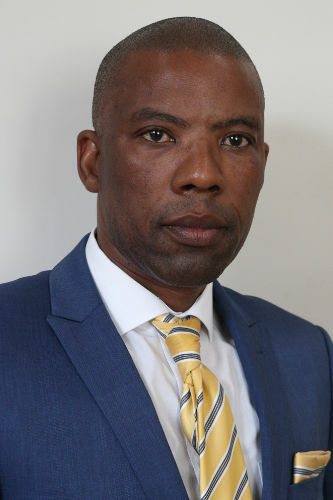 Mr B Nthebe (ANC, North West) noted the recommendation to establish an expert group that should address the challenges in the social services sector. Should this happen before the NMW Bill is adopted? The role of the sector must be applauded but at the same time the belief that the definitions of an employee, beneficiary and volunteer was incorrect. The idea was unfair as these were clearly defined in various labour laws. Instead, the argument must be about how a safety net is created for volunteers. These were issues which needed to be clarified. Mr L Magwebu (DA, Eastern Cape) noted that the Coalition seemed to be in support of the NMW in principle. However when it came to its member organisations, there might be compliance issues. He found paradoxes in the expression of support and, in the same vein, arguments put forth about how the NMW would be detrimental to some of the Coalition partners. He sought clarity on this. He noted the recommendation on the establishment of an expert group. What was the suggestion? Should the NMW Bill be held in abeyance up until this expert group was established? Mr E Makue (ANC, Gauteng) pointed out that the formulation of the labour bills was a legal process and had been delayed for a long time. Although the Committee might tend to concur with some of the issues raises, the bills could not be delayed any longer. Most Members had some bias towards the indigent within society. Was the Coalition able to formulate for the Committee the amendments and phraseologies it would want to see in the bills? Was the Coalition able to propose alternative definitions of worker and volunteer? The Committee would want have facts before it makes its determinations. He added that the centrality of the sector represented by the Coalition was well-understood. The intent of the bills was not to impose additional tax burdens on vulnerable people but to ensure that compensations inequalities are addressed. Also, some of the issues raised fell under the Department of Social Services’ purview. The Chairperson noted that the NMW Bill already had provisions on how exemptions were to be dealt with. Did these provisions not cover the Coalition’s constituency in terms of the concerns raised? He asked if the Coalition had made submissions on government’s subsidy policy relevant in a different platform. Ms Vetten acknowledged that the social services sector was fraught with a multiplicity of challenges for decades. However, the Coalition was not under the impression that the three bills would do away with all the problems. The bills were an important aspect towards the improvement of conditions of the most vulnerable of workers. The intention was not to hold up the implementation of the NMW Bill, but to initiate a parallel process that would ensure the challenges within the sector are dealt with. This, as a starting point, could be in the form of a statement acknowledging the need for sector specificity in application of provisions. Paying attention to the sector would go a long way towards improving the welfare of women and addressing gender disparities. Notably, the social services sector was substantially feminised. She reiterated that the Coalition was in no way calling for the holding up of the bills. There is no doubt that working conditions had to be improved but the questions were about how best this could be done. These were some of the complexities which had to be taken into account. Furthermore, the definition of a volunteer was clear but that of disabled persons needed to be looked into. The Coalition would be happy to furnish the Committee with its proposals. Mr Neil Coleman, Co-director, IEJ, said the Institute had fundamental concerns about the bills. Unfortunately, the amendments made by the National Assembly did not address some of the fundamental concerns raised by social partners, civil society, and various research and policy bodies, including the IEJ. The Institute hoped that a number of these issues will be addressed by the Select Committee. It is critical given the importance of these bills that they are got right the first time, particularly on critical issues relating to their architecture. Given previous experience, the IEJ was cognisant of the reality that there may not be another opportunity to correct the identified defects for many years to come. The Committee should ensure that aspects which relate to the value of the NMW, which are dealt with in the sections below, need to be strengthened in the Bills particularly with regard to: payment for minimum working hours; deductions; annual increases; the medium-term target; the protection and improvement of sectorial determination wages and conditions higher than the NMW; and the protection of collectively bargained wages and other wages which are higher than the NMW. New target dates should be transparently stipulated. No wages or conditions of work prescribed by Sectorial Determinations or Bargaining Council Agreements, or private contracts, which are more favourable than the NMW, may be decreased after, or in anticipation of, the introduction of the NMW. On hourly denomination, the NMW Commission should review after the first year whether the hourly provision is being abused (in conjunction with the issue of payment for minimum hours), and whether a weekly and/or monthly NMW should be introduced in addition to the hourly NMW, as is practiced in some countries. In the meantime a table should be included in schedule 1 of the NMW Bill, which sets out the weekly and monthly equivalents of the NMW, in order to assist workers and employers to calculate the NMW. This has previously been done by the DOL, for example with sectorial determinations. The Bills need to contain a transitional provision mandating the Commission to investigate the matter of minimum payment for working hours. The Commission should also investigate other mechanisms to counter abuse of part-time work, including a sliding scale of premium payments, and a requirement for weekly or monthly payment over a certain number of hours. As recommended above, the Commission should review whether the NMW hourly denomination should be changed, and daily/weekly/monthly denominations introduced. Minimum living levels for a family must be considered as one of the key factors in determining the increase. Furthermore, the medium-term target would be that the Commission must within its first year of operation stipulate the level which the national minimum wage must achieve within 3-5 years of the Commission’s establishment. The medium-term target should take into account appropriate benchmarks and relevant International Labour Organization instruments, including the minimum living level; the internationally used ratios between the NMW and average wage; and the average minimum in collective agreements. In conclusion, the Bills as they currently stood had serious deficiencies. In particular, the various parts of the NMW could not be viewed in isolation to one another. The NMW must be viewed as a package; the current package falls short. The deficiencies were not simply technical in nature but go to the heart of the purpose of the NMW and whether the legislation in its current form gives expression to that purpose. Those intentions are noble in character and reflect the commitment of the government, ruling party and various social partners to give expression to the long-standing objective of a 'better life for all'. In particular, the NMW seeks to contribute towards changing the existing wage structure - inherited from apartheid South Africa - as part of the structural transformation of the economy. It would be a tragedy for these objectives to not be given full expression in this landmark piece of labour market legislation. The Select Committee must therefore shoulder the weighty burden of correcting where the social partners and Department of Labour, as well as the Portfolio Committee had fallen short. If implemented correctly, the NMW has the potential to contribute towards reducing poverty and inequality, ensuring social stability and playing a transformative role in South Africa. Mr Magwebu sought clarity about whether the Institute was in opposition to the NMW in principle or just its current form. Did it believe the NMW Bill’s intent and purpose had been compromised? The Institute seemed to have some gripe with the Department of Labour. If this was the case, what was the issue? Was it a statement of fact that the enforcement of the NMW Bill provisions might be a challenge, as expressed by various stakeholders? What was the Department of Labour’s take? The NMW must be enforceable and should deal with the issues it sought to address effectively. What were the challenges in the National Assembly? Why were the issues being raised by the Institute not considered at that stage? Mr Mthebe got a sense that the Institute believed the NMW was a necessary intervention. However, given that the issues raised did not find expression in the Bill, the Institute believed there was an intent to water down the object of the Bill. On sectorial determination, he pointed out that no employer was allowed to pay below the stipulated minimum. This was clear. He asked the Institute to clarify its position in this regard. Mr Coleman said the importance of a NMW was not in dispute. The Institute had campaigned for a NMW since 2013, thus there was no way it could oppose the policy in principle. It is a progressive instrument, and the Bill would need to give effect to this. The intention has been to water down the object of the Bill, and in the process undermine the intent and purpose of the Bill. It was absolutely critical that the NMW improve the lives of vulnerable groups in society. The issue was about improving and reviewing the sectorial determinations. In its current form there were so many flaws. The Bills does not advance the objective it set out realise. Thus addressing the defects of the NMW Bill now would be ideal. He pointed out that a number of the wage negotiation participants felt the Department of Labour misled the National Assembly in a number of ways, and was selective and biased in the manner in which it responded to issues. For example, the Department’s response to submissions was selective and left out a number of concerns raised at that time. Also, its advice to the Portfolio Committee was misleading and inappropriate. He agreed that enforcement was a massive problem currently. The capacity of the Department was inadequate and there was need to increase the capacity of the inspectorate. The Department of Labour protested against the insinuation that it had wilfully misled the National Assembly, as expressed by Mr Coleman. It cautioned against acceptance of the notion that Department officials deliberately misled Parliament as this was a criminal offence. This implied that even the parliamentary advisory was a part of this as its officials were part of the discussions. That was not the case. in a certain sense big business can be regarded as ‘price givers’, with the ability to pass on wage increases, by means of the pricing of their products, to the downstream, which comprises mainly of SMMEs. SMMEs, in contrast, are limited in passing on any price increases to customers, resulting in SMMEs effectively paying for both their wage increases and those of big business. Furthermore, NEASA believed that a second reason for the amendment is the dwindling representativity figures of unions across all sectors. Seemingly the Minister has realised that the unions will not be able to regain the losses in membership they have experienced over the last number of years, which places collective bargaining under threat. This proposed amendment might in fact have the unintended consequence of causing further decline in union membership as the need for recruitment, in the context of collective bargaining, has now been removed. The bizarre situation may now arise where a union party representing 10% of employees in the industry can agree with a majority employer party and extend that agreement to 90% of employees the union does not represent. This will seriously compromise the legitimacy of collective bargaining. NEASA submitted that this proposal will not pass constitutional muster. The deletion of this paragraph effectively allows the Minister to extend the period of operation of agreements (excluding Fund Agreements) without having to adhere to the provisions of sections 32(3) and 32(5). Therefore, the Minister may extend any agreement, which is not a fund agreement, indefinitely without taking into account the levels of representativity of the parties or having to ask for submissions in terms of section 32(5)(c). This would allow parties with very low levels of representativity to keep agreements alive perpetually without having any legitimate right to do so. It will also impact on the legal right of non-parties to be heard and it will also not pass constitutional muster. The amendment proposes that the Minister may extend the period of operation of a funding agreement for a period of 12 months at the request of any of the parties to a bargaining council. It is obvious that this proposal infringes on a number of entrenched principles. It, without doubt, infringes on the constitutional and collective bargaining principles of majoritarianism. It also infringes on the voluntary nature of collective bargaining. The nature of collective bargaining is one of self-determination. It should therefore be up to the parties to decide if and how they wish to fund their council and which benefits they wish to provide. It is not for the legislature to interfere in this dynamic as this interference in itself may cause collective bargaining to become obsolete. Lastly, the Minister may extend the period of operation of fund agreements “where the Minister is satisfied that the failure to renew the funding agreement may undermine collective bargaining at sectorial level…” This seemed to be the only criteria of which the Minister must be satisfied. No cognisance is taken of the levels of representativity of parties, which again could create a situation where agreements are kept alive artificially by parties who have no right to do so. In conclusion, amendments will not strengthen collective bargaining but will elicit even stronger push back. A new inclusive approach was required for collective bargaining to survive. Therefore, legislation aimed at forcing employers into collective bargaining arrangements of minorities will completely undermine fundamental principles of collective bargaining and may very well lead to the demise of the system. Mr Magwebu noted NEASA’s submission that Section 32 of the LRA Bill was unfair as it would lead to the bullying of SMMEs by big business. However, fairness is a relative term. In NEASA’s view, some of the provisions were also inconsistent with the Constitution. However, by law, if any legislative provision is repugnant to the Constitution, the latter must prevail. Legal services would need to intervene under such circumstances if that was the case. Mr Nthebe asked whether Mr Papenfus would agree that the object of the LRA Bill, section 32 in particular, was not to create dominance of one stakeholder over another but to provide for collective bargaining between parties, which would then be enforceable in law. The Committee would want to see SMMEs flourishing but would not recommend the watering down of legislative requirements meant to safeguard employer and employee rights. Mr Papenfus said the problem was not about having collective negotiations but the extension of the outcomes of such negotiations to uninvolved parties. At issue was the additional amendments espoused in the LRA Bill as NEASA felt they would marginalise SMMEs. 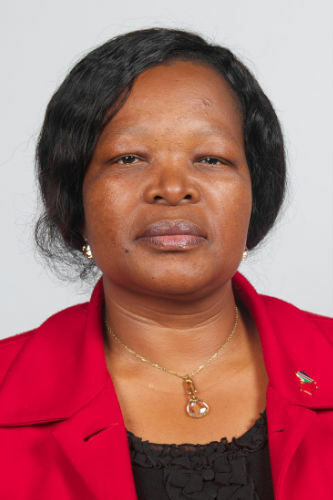 The Chairperson said the Committee would advertise for public hearings on the National Land Transport Bill, and Members would be expected to brief their respective provincial on the Bill legislatures thereafter. The Committee would conduct public hearings soon after the parliamentary recess- after 31 July. The provincial briefings on the National Land Transport Bill should ideally be conducted as soon as possible so as to enable other processes to be kick-started. During the third term, the Committee would primarily deal with the three labour bills and the two bills from the Department of Transport.